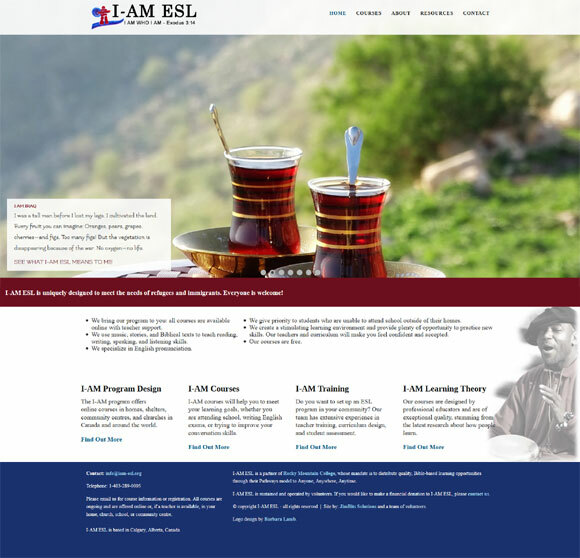 I-AM ESL had an existing website that looked really good and they were happy with it -- except it wasn't created in a way that could easily be edited by their staff. When they spoke with one of our other clients, we were recommended. So we took their existing look, changed it where they wanted it changed, but set it up in Joomla so they could easily log in and change the content whenever they wish. This is an organization we are excited about and are glad we can be a part of getting their message out!